You guys, I am very excited to introduce an incredible blogger who you may or may not already know. 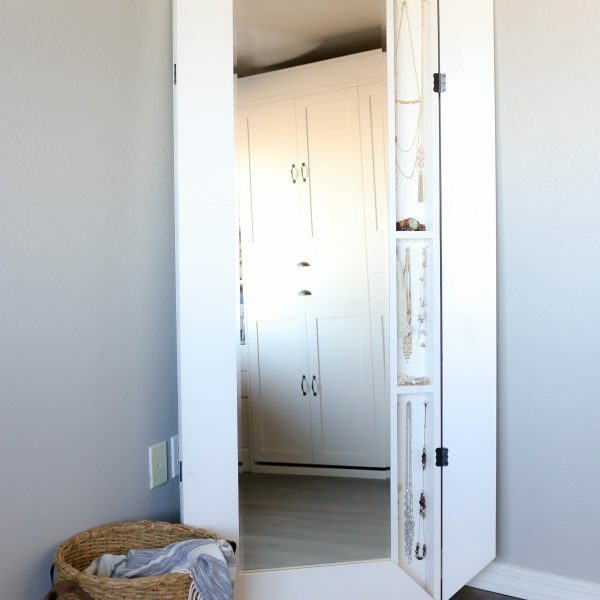 Cassity is the ever-talented voice behind the blog, Remodelaholic. She was one of the first blogs that I began to follow and I love the wealth of information and inspiration that is shared on her site! Today, she’s stopping by to share a little about herself, but also share some of her favorite projects! I’d love it if you were to show her some love today and also make sure you visit her site and follow her on social media if you aren’t already! Hello! I’m Cassity from Remodelaholic. I am so excited to be here at with you at Addicted2DIY, to share with you some of our greatest and favorite projects. 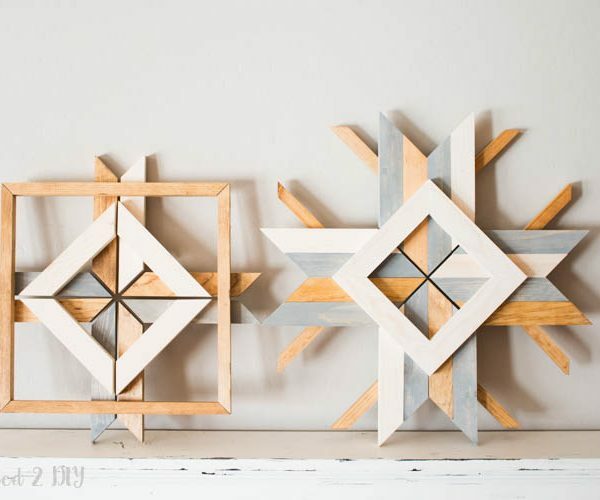 Katie creates the most beautiful and fun projects! Let me tell you a little bit about Remodelaholic. My husband and I have been blogging for 10 years about all of our remodeling adventures. We’ve remodeled seven houses. Our blog began as a way to show our family and friends our projects and it has grown from there. Let’s start off with this amazing area in our home. We have a whole lot of projects all wrapped into this one little space. It started with an easy way to add texture to the walls with a simple board and batten tutorial. Check out how we added this wall texture technique in our board and batten wall post. Then we worked in an extra special touch with a pretty dutch door. 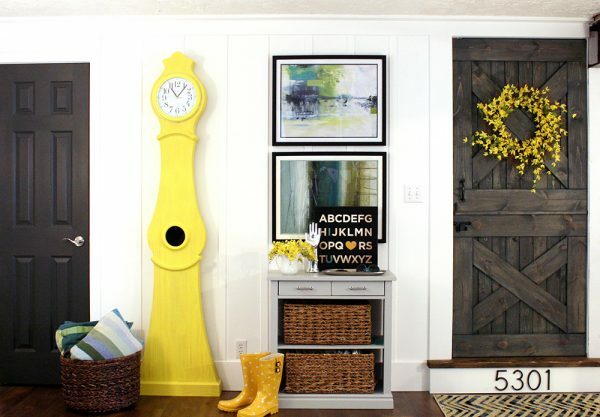 We have building plans and tutorials to get this pretty dutch barn door look. And last, but definitely not least the Swedish mora clock. We love it in yellow, but paint it any color to match your style or space. We love to build and create things at Remodelaholic and sharing plans! Like this great entryway bench that adds function, fun, and design. 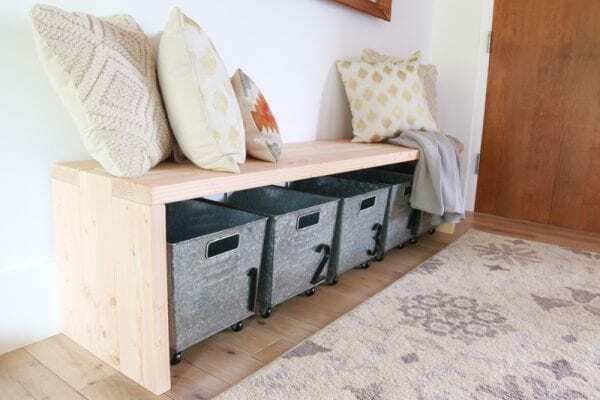 Build this bench out of 2×6’s with our building plans for entryway seating and storage. Add extra storage with adorable galvanized metal bins with numbers and fluffy pillows for comfort and a touch of color and texture. Entertaining and relaxing outdoors is one of our favorites. We’ve created a lot of one of a kind pieces to enjoy our outdoor spaces. 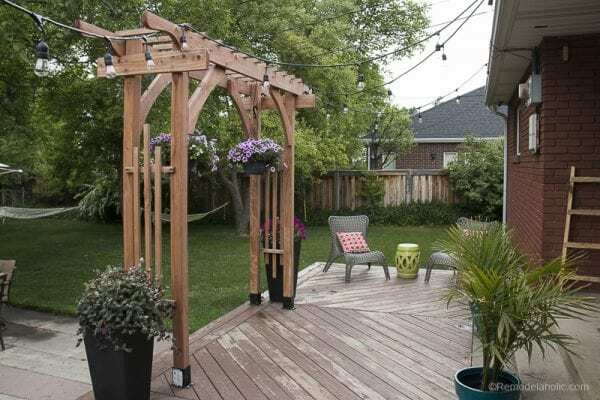 One of our favorites outdoor projects is from last summer, this garden arbor built from structural lumber. It adds visual interest to our outdoor space. 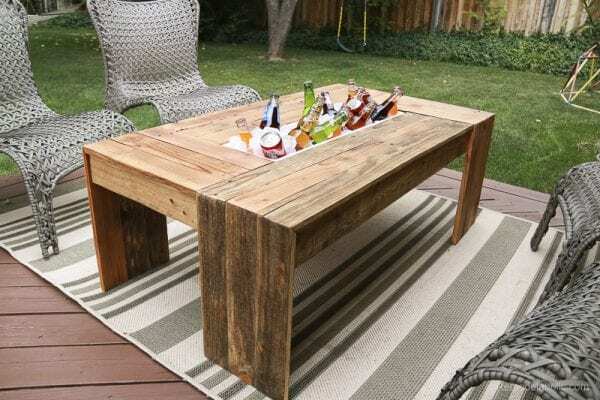 To go right along with a lovely garden arbor, add an outdoor table space for entertaining with this lovely waterfall edge cooler table. Keep the drinks cool and have space to set snacks or games. And don’t forget, lots of outdoor seating, perfect for all those backyard parties. 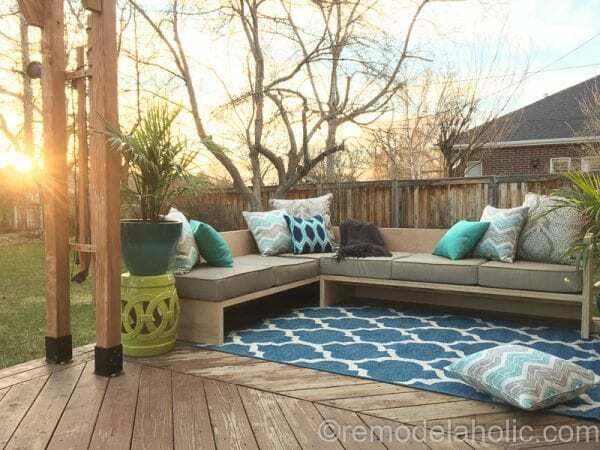 This awesome outdoor sectional is made from plywood, but it turned out so pretty and functional. 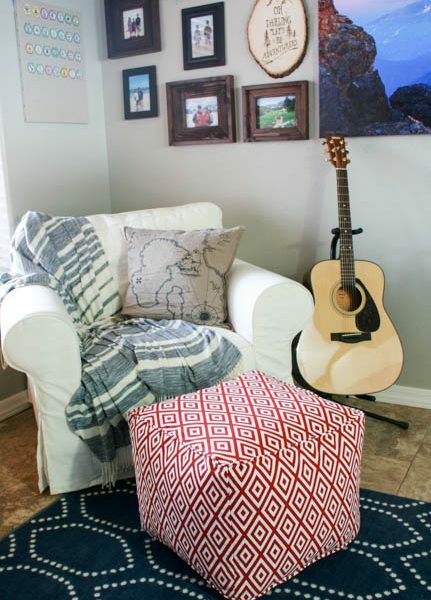 We love how budget friendly materials can be used to create amazing pieces. We even designed it with a place to store the cushions. 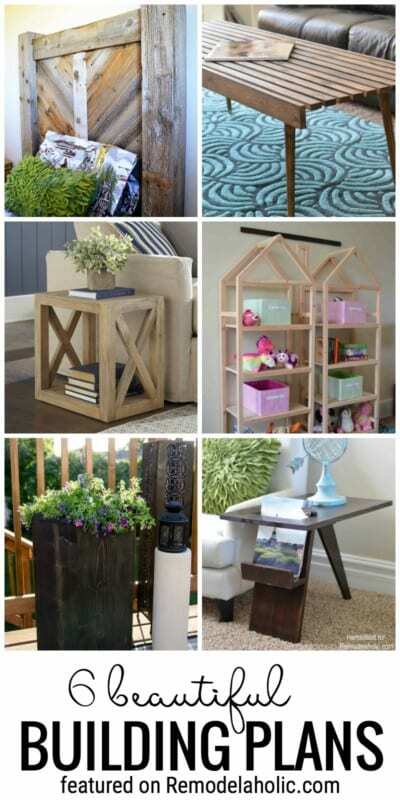 On Remodelaholic we share a whole bunch of great home decor and DIY ideas! 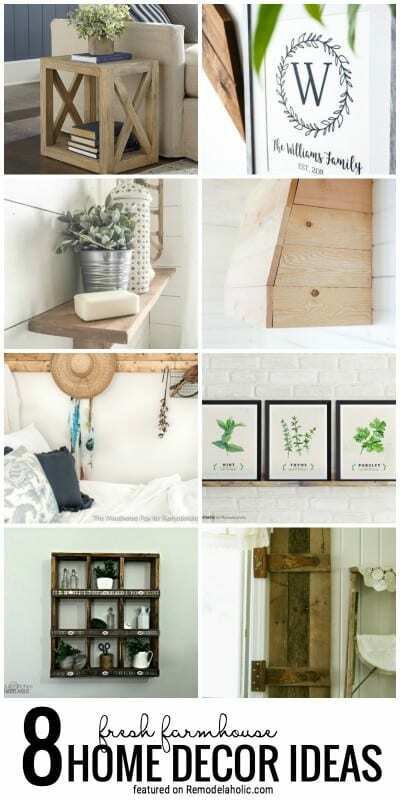 We love to share Fixer Upper Get the Look rooms, building plans, and more. 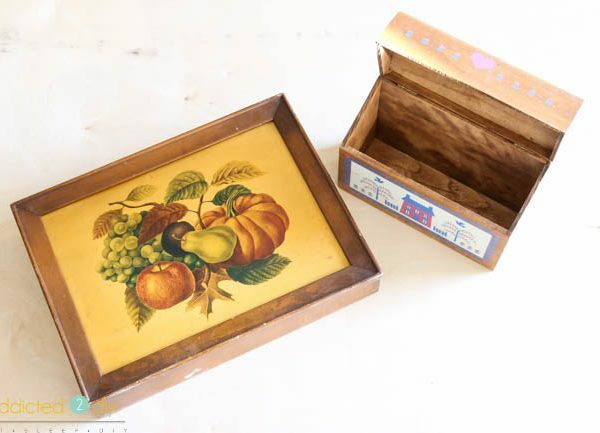 We are also obsessed with anything DIY, we especially love the farmhouse style right now. We wanted to share these eight amazing rustic farmhouse projects! This style is so versatile and easy to DIY. And, if you love to build things, here are 6 of our favorite building plans. Subscribe to Remodelaholic on YouTube to stay up to date on all our projects and video tutorials, especially our fun Christmas tree decor for this year. Follow Remodelaholic on Instagram for more design inspiration. And don’t forget to follow along on Facebook. We share some projects Live like these simple shelves below and have a Remodelaholics Anonymous: DIYer Support Forum. Join in to get answers to remodeling and design questions.